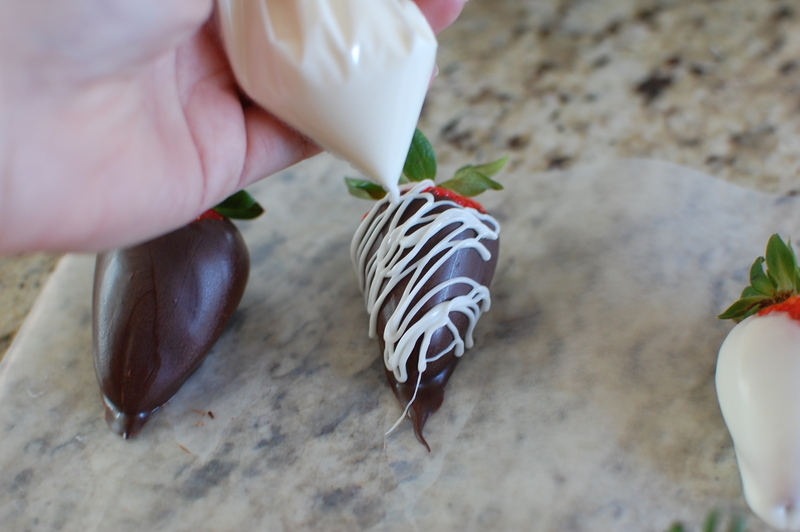 Chocolate Dipped Strawberries - the perfect treat for Valentine's Day! 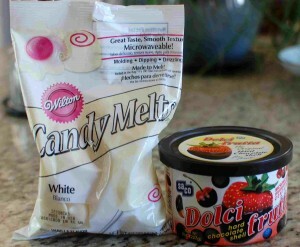 You can use either Wilton Candy Melts (found in craft stores like Michael’s), or Dolci frutta hard shell chocolate (found in little microwaveable tubs at the Supermarket, usually in the produce department). If you can’t find Wilton Candy Melts, most supermarkets carry Dolci Frutta in the produce section (conveniently, next to the strawberries). 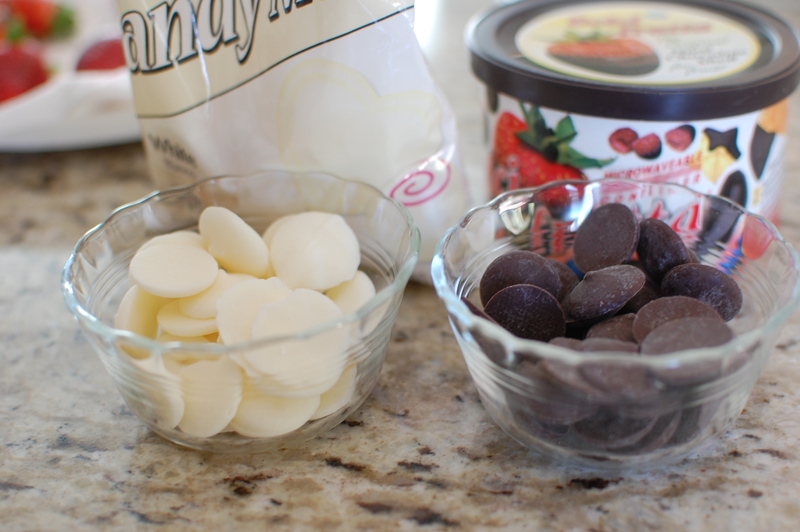 These are chocolate candy melts that come in a round cardboard microwaveable container. 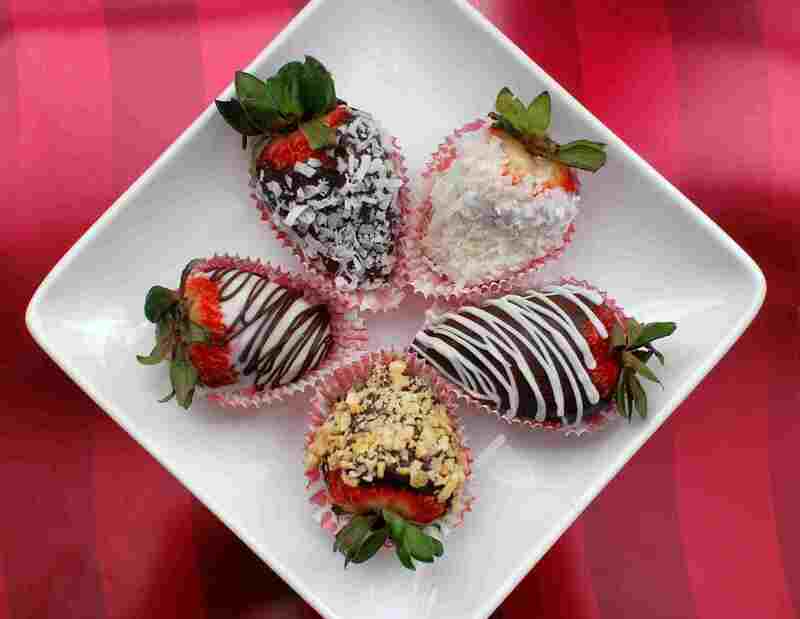 Again, you probably won’t need the entire package for half a dozen strawberries – so don’t nuke the whole thing according to the package directions, just dump a small portion of the melts into a custard cup and microwave. 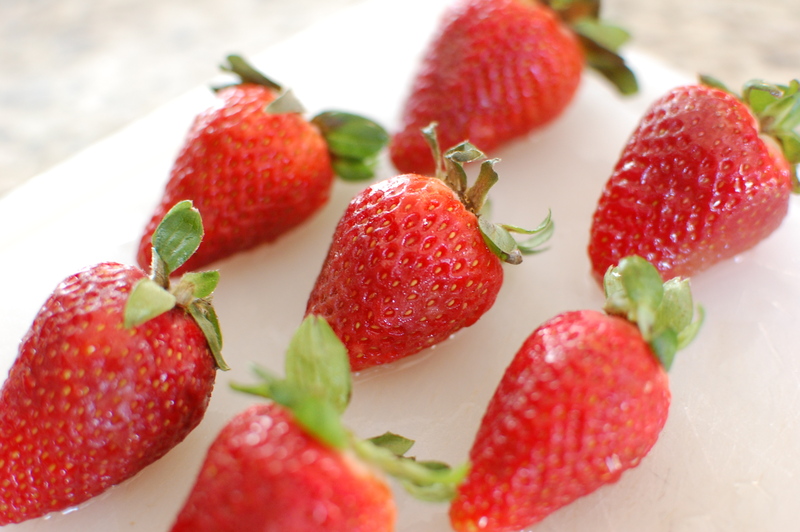 Now, the trick to doing this right, is that you must use DRY strawberries. 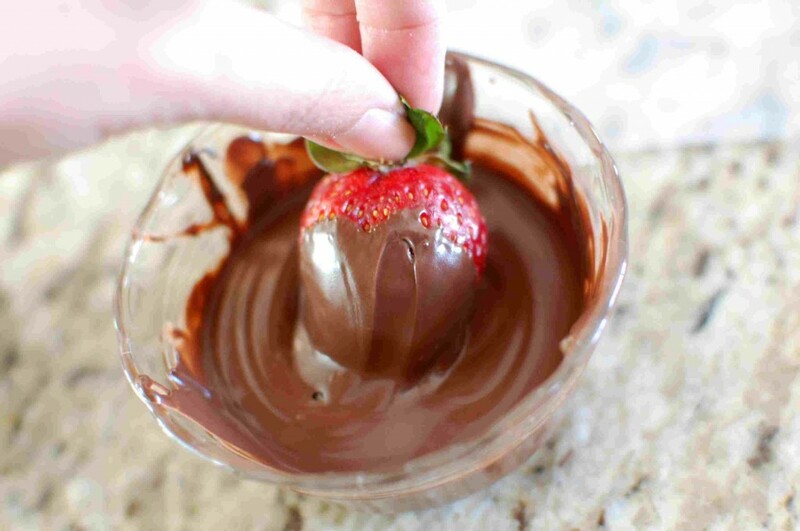 Any water or moisture on the strawberry will make the chocolate seize, and you will end up with ugly, grainy, messed up chocolate that won’t work at all for dipping. So make sure your berries are totally DRY! Truthfully, the drying part is what takes the longest. I left my berries to air dry for 20 minutes (after patting dry with a paper towel). Once the berries were dry, it only took me 10 minutes to coat and decorate the berries. So really, you can make these (from start to finish) in 30 minutes. It’s so easy! Various toppings: chopped nuts, coconut, crushed cookie, chocolate sprinkles, etc. 1. 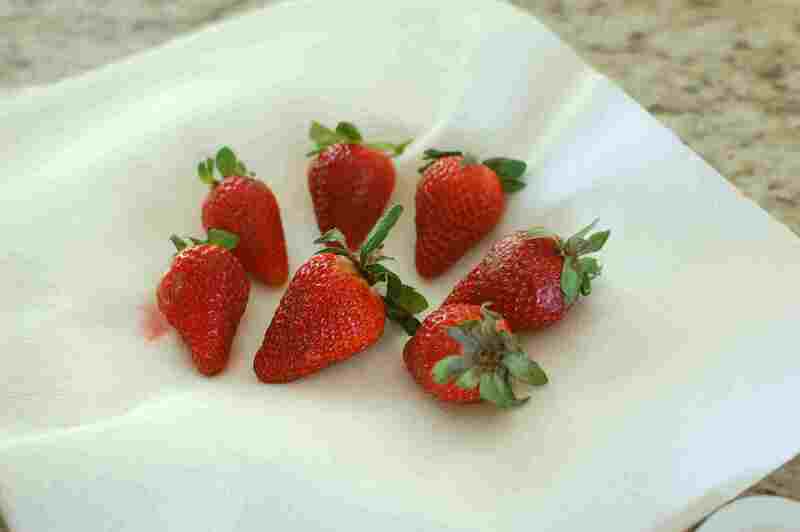 Wash your strawberries, discarding any with bruises or cuts. 2. Dry the strawberries thoroughly – pat gently with a paper towel (including the leaves), then set to air dry on a stack of paper towels. 5. 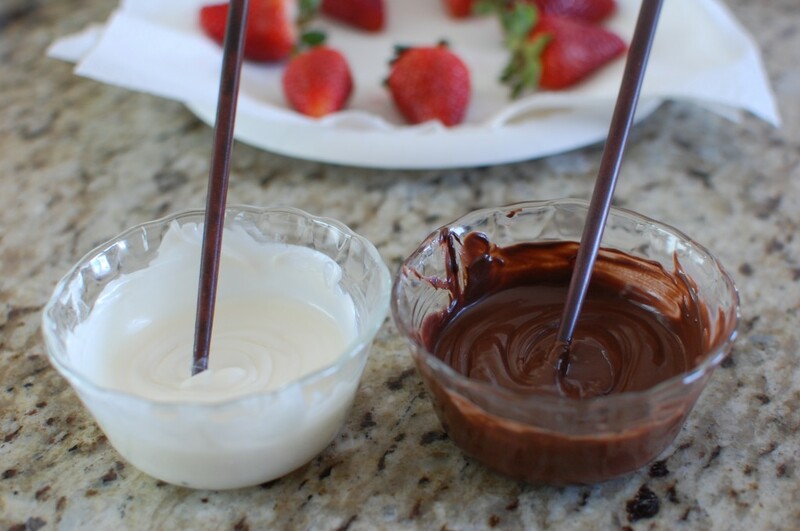 Holding the strawberry by the leaves on the stem end, dip the strawberry into the melted chocolate, and turn to coat. 7. 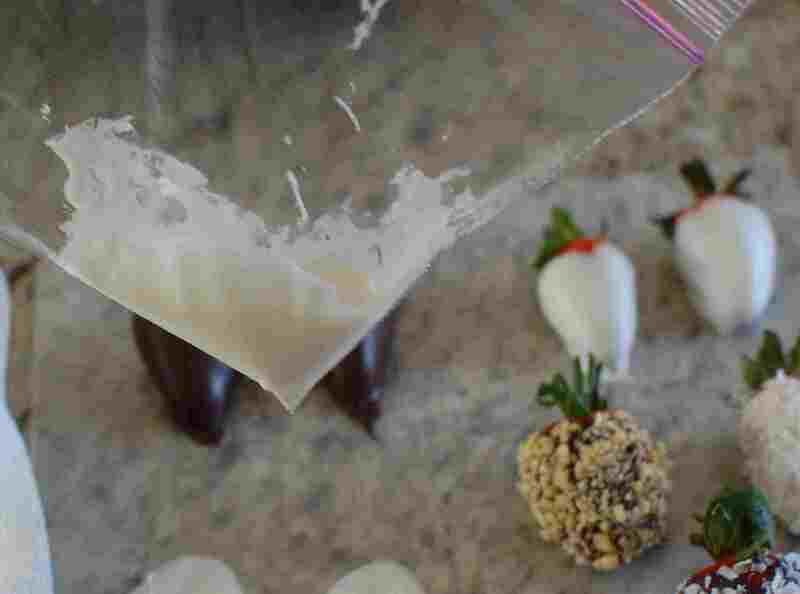 If you want to coat some of the strawberries with a dry topping (which is nice, for variety), immediately after dipping in chocolate, sprinkle or roll into the desired topping, then set on the waxed paper to dry. What kind of toppings? Chopped nuts, grated coconut, mini chocolate chips, sprinkles, or crushed cookie bits are good choices. Use whatever you have! 8. To decorate the plain dipped strawberries, put the left over melted chocolate into a ziploc sandwich bag. (Microwave for 5-10 seconds to loosen the chocolate up a bit). 9. 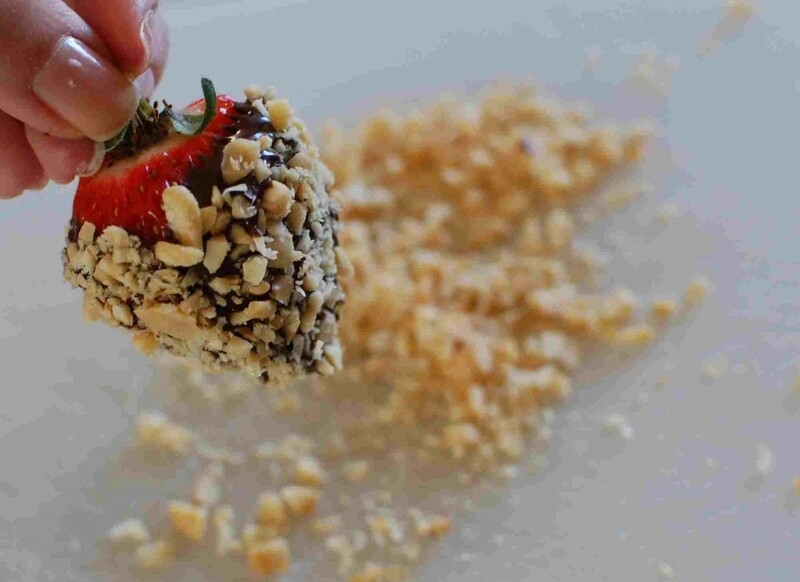 Snip off a very small corner of the plastic bag, then drizzle chocolate over the dipped strawberry. 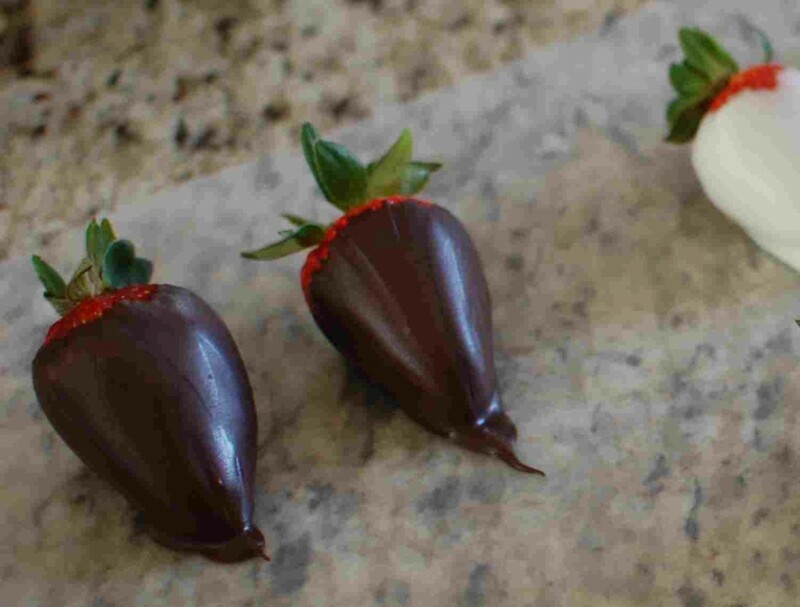 I think it looks nice to use a contrasting color – drizzle white chocolate over a dark chocolate dipped strawberry, and vice versa for a white chocolate dipped strawberry. Yum! Thanks. Step 4: 30 sec not min? Lol, Yes! OMG I’m so glad you caught that – yes, 30 seconds, not minutes. I fixed my mistake. thank you for the speedy reply! I will check if Hobby Lobby here carry this or not. By the way,I tried your Japanese Milk Bread (Tangzhong) recipe and make the bread very successfully. Thank you so much! Love your cooking website! I would guess Hobby Lobby would have it – the Wilton brand candy melts are really popular, and most craft stores have a “candy making” section where they sell chocolate molds and chocolate melts in various colors. You could also get white, pink, or red… they come in all colors. Thank you for your kind words!